Mr. McRobbie’s solo performances include the Steinway Series at the University of South Florida, Vancouver Chopin Society, Eastport Arts Centre in Maine, Franz Liszt Academy in Budapest, Kumho Art Hall in Seoul, and a recital for the Asian Composers League at Sejong Chamber Hall in Seoul. As concerto soloist, he has performed with the Winnipeg Symphony Orchestra, Bulgarian Chamber Orchestra, Jeonju Philharmonic Orchestra, Westcoast Symphony, and the New Westminster Symphony. His performances have been broadcast on CBC radio, and he was featured in International Piano magazine and KBS television’s Classic Odyssey. For many years, Mr. McRobbie was a student of Lee Kum-Sing at the Vancouver Academy of Music and the University of British Columbia, where he received an Artist Diploma and Bachelor of Music respectively. Other teachers include Arthur Greene, Patricia Zander, and Svetozar Ivanov. He received a Doctorate of Musical Arts in Piano Pedagogy and Performance from the University of Michigan, and a Master of Music from the New England Conservatory. From 2009-2017 Mr. McRobbie was Assistant Professor of Piano at Dongduk Women’s University in Seoul, South Korea. 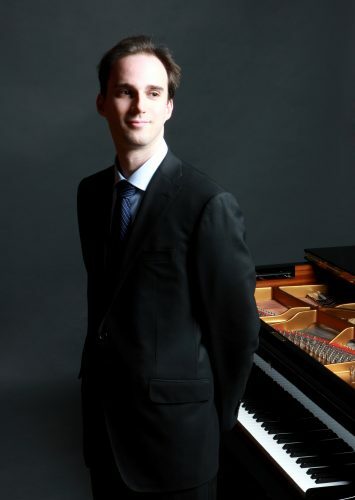 He is also a piano faculty member at the Summer Music Festival for the Franz Liszt Academy in Budapest, and at the St. Andrews Piano Festival in Canada.